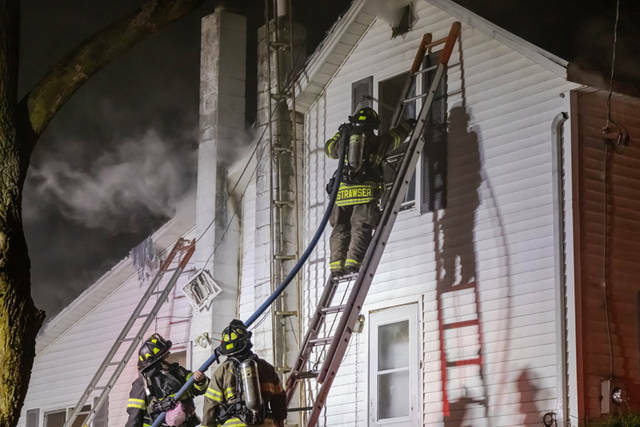 According to Liberty Township Fire Chief Mark Loy, a Friday morning fire is thought to have started from a wood burning stove, spreading into the nearby exterior walls. 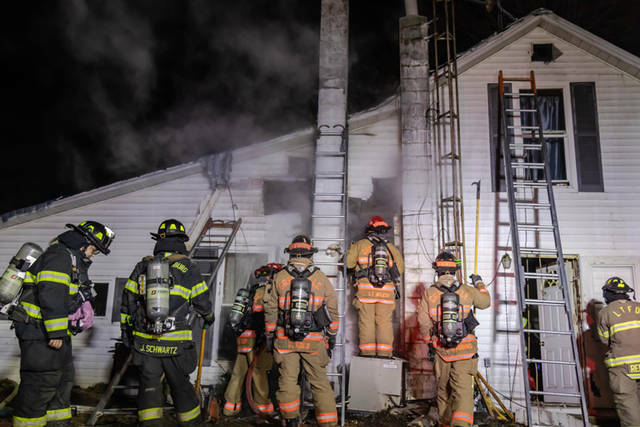 LIBERTY TOWNSHIP – An early 1900s home belonging to the Hill family for more than four generations was heavily damaged in a second alarm fire during the early hours of Friday morning. 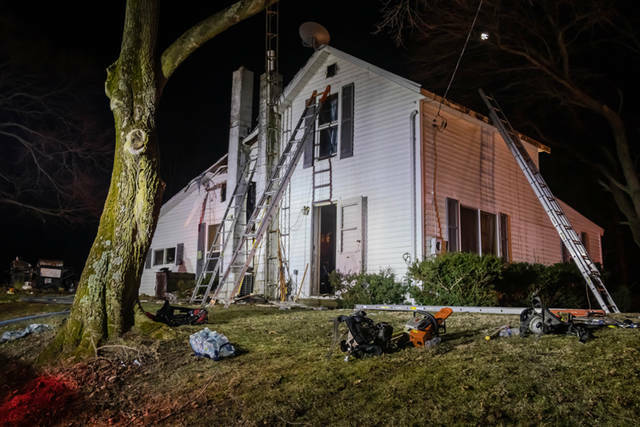 At approximately 4:45 a.m., crews from the Liberty Township, New Madison, Hollansburg, Greenville Township, Greenville City, Arcanum, Pitsburg and Union City fire departments along with Tri-Village Rescue were dispatched to a possible structure fire located at 1887 Weaver Fort Jefferson Road with heavy smoke filling the residence. According to Liberty Township Fire Chief Mark Loy, the fire is thought to have started from a wood burning stove, spreading into the nearby exterior walls. 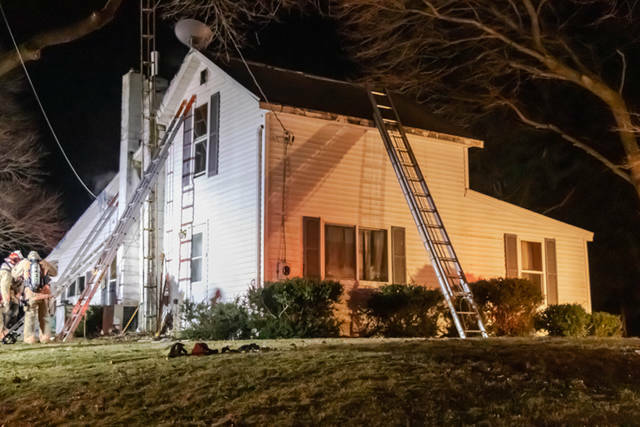 Chief Loy said due to the history of the property and the sentimental value of the house to the family, special care was taken during the attack and knock down of the fire in hopes of limiting the damage and preserving the property. Firefighters could be seen carrying out family heirlooms as crews worked to extinguish the fire. The Northern Miami Valley Ohio Chapter of the American Red Cross was called to the scene to aid the family. The fire will remain under investigation by the Liberty Township Fire Department. This entry was tagged American Red Cross, Arcanum Fire Department, fire, Greenville City Fire Department, Greenville Fire Department, Greenville Township Fire Department, Hollansburg Fire Department, Liberty Township, Liberty Township Fire Department, New Madison Fire Department, Pitsburg Fire Department, Red Cross, Tri-Village Rescue, Union City Fire Department. Bookmark the permalink.